Noted philosopher Abraham Kaplan was born in Odessa, Russia, on June 11, 1918, and moved to Duluth at the age of six with his family. His father was Joseph J. Kaplan, a rabbi, and his mother was Chava Kaplan. Joseph, who was born in Russia in 1883, immigrated to the U.S. in 1923. The rest of his family immigrated in 1924: wife Chava (born 1885), daughters Edna (born 1910), Eve (born 1912), Etta (born 1914), Sadie (born 1916), and Abraham. Joseph served as rabbi at the Tifereth Israel Synagogue at Third Avenue East and Fourth Street from the mid-1920s until about 1940. While in Duluth, the family resided at 308 East Sixth Street and at 229 East Fourth Street. Abraham attended Duluth Junior College for two years. While there, he and another student won the National Junior College Forensics tournament, which helped Abraham win a full scholarship to the College of St. Thomas in St. Paul, Minnesota, where he majored in chemistry. Upon graduation from St. Thomas in 1937, he was able to attend graduate school at the University of Chicago with the financial assistance of some Jewish businessmen from Duluth. He studied philosophy at Chicago from 1937 to 1940, working under Rudolf Carnap and visiting-lecturer Bertrand Russell. In 1940, he transferred to UCLA and earned his Ph.D. there in 1942. 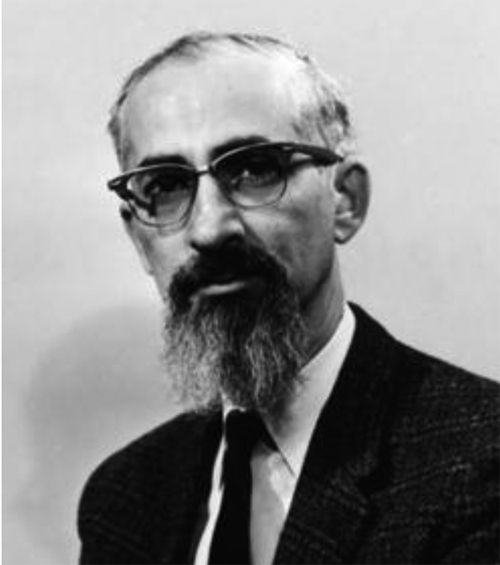 Abraham taught philosophy at UCLA from 1946 to 1963, and then moved to the University of Michigan where he served as a philosophy professor until 1972. Later that year, he moved to Israel where he taught at the University of Haifa. After retirement, he lectured in the U.S. Abraham authored several prestigious books, including Power and Society (1960), New World of Philosophy (1962), and In Pursuit of Wisdom (1977), and he was awarded a Guggenheim Fellowship in 1945 and a Rockefeller Fellowship in 1957. He was featured in the May 6, 1966, issue of Time Magazine as one of the ten outstanding college teachers in the U.S. He returned to Duluth several times to lecture at UMD, the College of St. Scholastica, and the Jewish Educational Center. Abraham married Iona Judith Wax on November 17, 1939. They had two daughters, Karen and Jessica. Abraham died in Los Angeles on June 19, 1993.